Welcome to the Gemmell's Garden Journal! 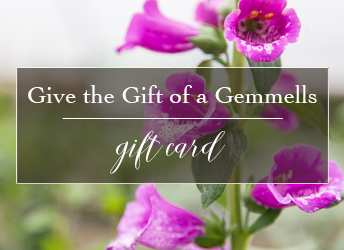 The Gemmell's Garden Journal provides gardening tips, resources and loads of expert advice for a beautiful, healthy garden, all season long. Hello fellow plant lover, thank you for visiting us. Whether you are just starting out, and dipping your toes in for the first time, or you've been gardening for years our Garden Journal has something for you. Pull up a chair and a cup of tea and read on for practical tips and expert advice on everything gardening. Spring has sprung and Gemmell's has all the helpful tips and advice to help you get your garden off to a stunning start right from the beginning. Our Gemmell's experts have gathered their best tips, advice and smart solutions to keep your garden vibrant and lush all season long. Summer may be winding down but there's still much to do in the Fall, both to prepare for the cold Ontario winter and for next spring, too. Keep your green thumb happy with our winter gardening tips, hardy winter urns and creative holiday wreath and centrepiece workshops. Novice gardener or just starting out? From dead heading to pruning and everything in between, read on for our expert advice. Garden to table recipes, patio veggie gardens and more! We have the tips and inspiration on how to get the most out of your food gardening.